Please join us in remembering our service members whom have paid the ultimate sacrifice for our Nation. The day begins with a remembrance ceremony featuring local elected officials and Battleship Iowa staff. 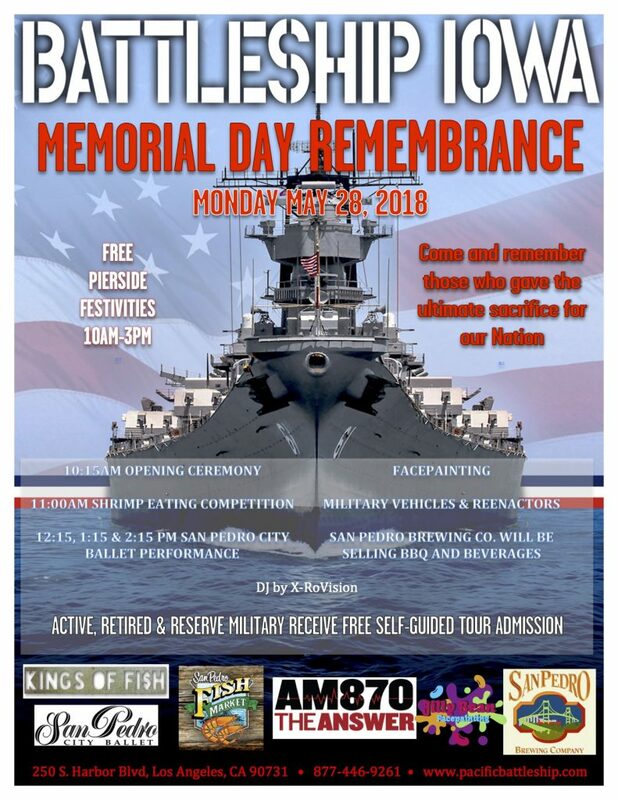 *When you purchase a tour ticket to Battleship IOWA (day of), you have are invited to place an American Flag on the fence (dockside) in memory of our fallen service members. ALL ACTIVE, RETIRED & RESERVE MILITARY (with valid ID) will receive complimentary admission to the Battleship.